ST. CATHARINES, ONTARIO — As the United States continues to roll in the FIBA Americas U18 Championship, Matthew Hurt continues to impress. The 6-foot-9, 200-pound Minnesota native is ranked No. 5 in the 247 Sports rankings and he’s lived up to the billing this week. Against Puerto Rico on Tuesday Hurt finished with 12 points while showcasing his versatility offensively and defensively. Let’s not beat around the bush, Self is referring to Hurt being a white forward and how many just label him as a shooter. That’s not the case as Hurt showcased he can defend several different positions and play different roles offensively. It’s for those reasons that UK and dozens of other schools are interested. UK offered Hurt in December and John Calipari visited him in the spring. Kentucky’s staff has watched every one of Hurt’s games in Canada. Yesterday Calipari and Tony Barebee were in attendance but on Sunday and Tuesday it was just Barbee. Joel Justus will be here later this week. Hurt doesn’t focus on coaches in the stands during the games but it does show who’s most interested. The Cats want the elite forward and Hurt could see himself in Lexington. Hurt said he will cut his list in late July or early August, after his adidas AAU basketball career comes to a close later this summer. After cutting his list then he will take visits in September or October and he wants to make a final decision in November before his high school season. Hurt detailed the schools recruiting him the hardest. “Duke, Kentucky, Minnesota, Memphis, Indiana, UCLA, Kentucky, UNC,” Matthew Hurt said. Yup. Folks, he said UK twice. Stop the press. The school recruiting him so nicely he named them twicely. It was obviously a clear slip, but it seems Hurt will end up at one of those seven schools. I’m guessing he meant to say Kansas one of the times he said UK, because the Jayhawks are a serious threat to land Hurt. He will likely end up at one of those eight schools (the seven listed and Kansas). 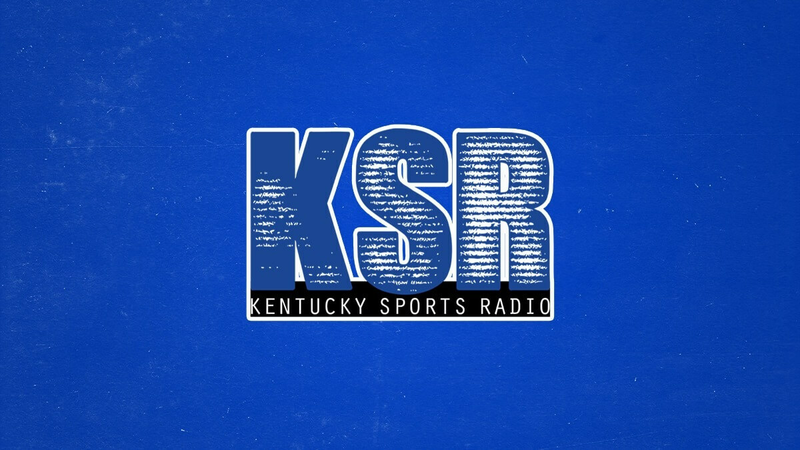 Hurt said no school has a guaranteed official visit lined up just yet, but sources tell KSR the Cats are expected to land a visit this fall. Hurt is a top 10 player and should be considered a one-and-done candidate, but he won’t rush things if he’s not ready. One thing that is used against UK on the recruiting trail is that if you’re not a one-and-done you shouldn’t go to Kentucky. Hurt said that’s not true.